California medical marijuana patients won a partial victory this week with the issuance of a much anticipated ruling in a case against the City of Anaheim. As our Riverside medical marijuana dispensary attorneys have reported on our Marijuana Lawyer Blog, many cities were awaiting this ruling before proceeding with ordinances of their own. In Riverside County alone, Wildomar is considering approving dispensaries while Riverside, Hemet, Lake Elsinore and Temecula have enacted bans. Thus far, the courts have avoided making a decision on whether the state’s medical marijuana law trumps the ordinances put in place by various cities. Those typically utilize zoning laws and other measures to force marijuana dispensaries out of business or to prevent them from opening in the first place. Instead, a lower court ruled that the Federal Controlled Substances Act trumps the State’s medical marijuana law. Patients appealed after an Orange County Superior Court Judge dismissed the case. 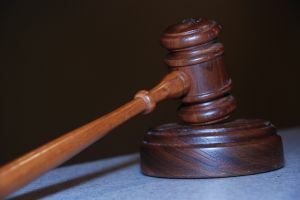 The Court of Appeals ruled this week that federal law does not trump state law — and remanded the case back to Superior Court, again without deciding the larger city versus state issue. It is not unusual in complex cases for a higher court to use outlying issues to issue a ruling on a case without addressing the core issues at hand. In this case, whether state law trumps city ordinances was not yet “ripe” for a decision because the court had an alternative legal avenue upon which to base its decision. The Los Angeles Times reports that some had anticipated a major decision because the 4th District Court of Appeals in Santa Ana had asked for additional information and had taken a year to issue the ruling. The Times reports that 133 cities have banned dispensaries and 99 have moratoriums. Nine counties have bans and 15 have moratoriums. Only 38 cities and nine counties allow dispensaries.